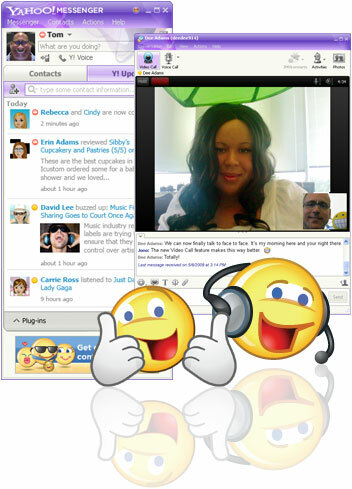 With Yahoo messenger 10 you not just do instant messaging you cal alos make voice call, make full screen video calling. Yahoo messenger offers you to get update from other social networking and media site like Flickr, Twitter, Facebook etc. You can change your preferred language on Yahoo Messenger. You can chat with high quality full-screen video. Send text messages (SMS) to friends’ mobile phones for free. Yahoo messenger is available for Windows XP, Vista and Windows 7. Not just that Yahoo messenger is also available for Mac, Mobile and iPhone. When you download Yahoo messenger 10 for Windows you not get offline installer it is online installer. You need to be connected online every time you need to install Yahoo messenger. Here you can find Yahoo messenger 10.0.0.1270 (latest Build) offline installer. Awesome, thanks for sharing link. It fits my fatherly way, install offline yahoo messeger, because my internet connection is slow. Thanks a lot for this. I am having problem installing yahoo messenger from Yahoo website. cheers!